Sam Ridgway has spent most of his life learning about dolphins and whales. Over his five-decade career he has asked these cetaceans various questions, including how deep they can dive and how depth affects their hearing. As he trained each animal to answer his questions, he rewarded them with tasty fish treats, and each time that they received a reward he remembers that they squealed. Initially he thought that the squeals were food signals, where animals communicate the presence of food to nearby members of their species. It was only when his wife Jeanette suggested that the squeals reminded her of delighted children that he began to ponder whether there was more to the cetaceans' cries: could they be genuine expressions of delight? 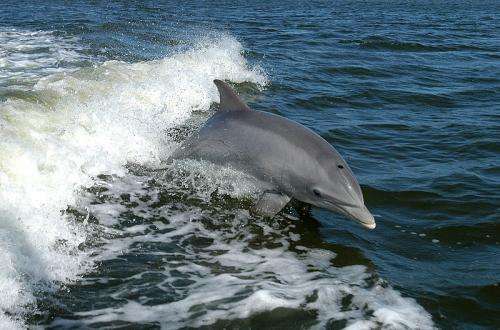 Ridgway publishes his discovered that the time delay between dolphins and whales receiving a reward and their squeals is the same as the delay between a pleasant experience and dopamine release – suggesting that dolphins and whales experience pleasure – in the Journal of Experimental Biology. Humans train animals by rewarding them with tasty treats and trainers couple the reward with a sound, such as a buzz or a whistle. Once the animal has mastered the task, the trainer stops dispensing food, relying instead on the whistle or buzzer to inform the animal that it has performed successfully and that it will be rewarded with food later. What impressed Ridgway was that even though there was no food reward at the time, the whales and dolphins squealed in response to the sound that substituted for the food reward. And when he trained dolphins and beluga whales to switch off a sound after diving hundreds of metres, Ridgway was impressed that the animals produced the same squeals of victory when the sound stopped. 'The [squealing] behaviour had transferred over to another stimulus that wasn't food', says Ridgway. The behaviour also reminded him of studies in the 1950s when animals appeared to derive as much pleasure from electrical stimulation of a region of the brain that released dopamine – a chemical that stimulates the sensation of pleasure – as they did when receiving a food reward. Had the trained dolphins and beluga whales transferred the release of dopamine from the brain's pleasure centres from the food reward to the trainer's reward signal? Delving back through decades of recordings of experiments designed to test the abilities of dolphins and beluga whales that he had conducted with Patrick Moore, Don Carder and Tracy Romano, Ridgway then measured the delay between the trainer's signal and the victory squeals. As dopamine release takes 100 ms, Ridgway realised that the animals could be expressing pleasure if the delay between the promise of a reward and the animals' squeals was longer then the dopamine release period. 'Normally we worked in open waters in the San Diego Bay or out in the ocean… Our recordings sometimes have a lot of background noise, so most of the analysis has to be done by hand using the human ear', recalls Ridgway. However, after months of painstaking analysis, Ridgway was convinced that the beluga whales and dolphins were expressing pleasure through their squeals. 'The dolphins take an average of 151 ms extra time for this release, and with the belugas…it's about 250 ms delay', says Ridgway. He concludes with a smile, 'We think we have demonstrated that it [the victory squeal] has emotional content', before adding that he is keen to find out more about the cognitive abilities of these expressive animals. Given the fact, even the fish experience pleasure and enjoyment, I rather consider this study as an attempt for research of the upset feeling of tax payers. Aside from stating the bleeding obvious, keeping dolphins in captivity and whaling, is profoundly cruel then, isn't it?